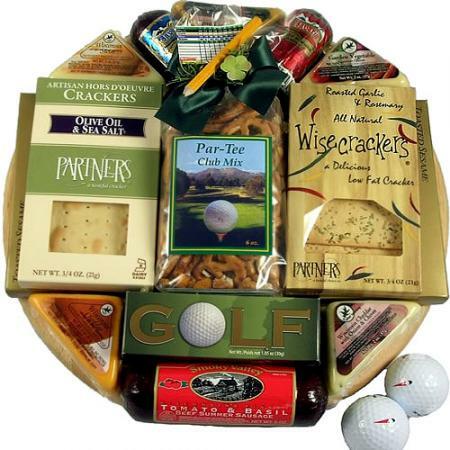 This golfer gift basket is sure to be on par with any golfer on your gift list. 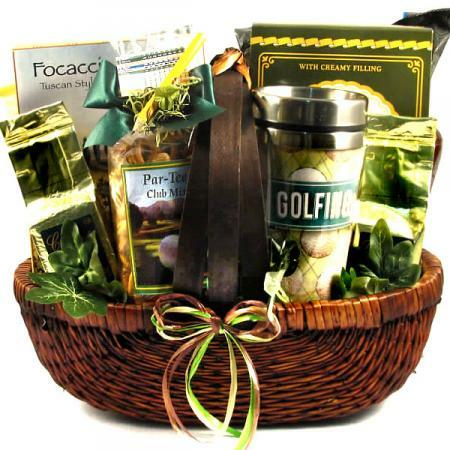 Send this great golf themed gift basket filled with an abundance of golf theme gifts and goodies perfect for the golfer in your life. 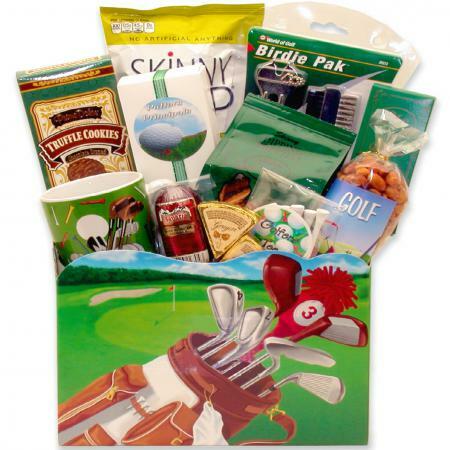 Help your favorite golfer to Par-T with that great golf themed gift basket piled high with an abundant selection of golf-themed gifts, goodies as well as our most popular snacks for guys! 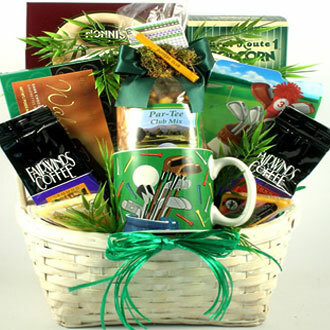 He is going to love it! 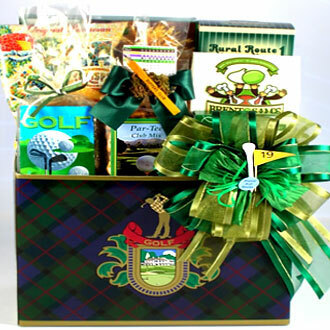 This impressive gift for golfers makes a great birthday gift for a golfer, retirement gift, real estate closing gift and if Dad is a golfer, a wonderful Father's Day gift basket. We were pleased with the food. 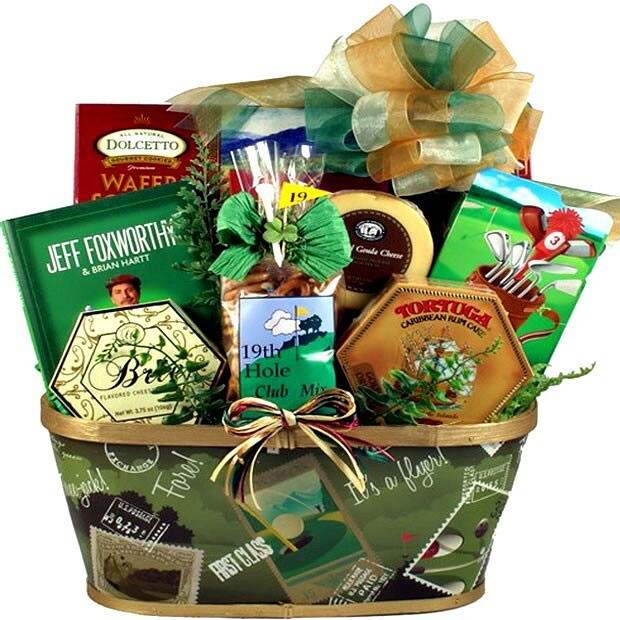 But, the picture showed a picture of a book by Jeff Foxworthy. We wanted the Foxworthy book since he is from here in Atlanta. 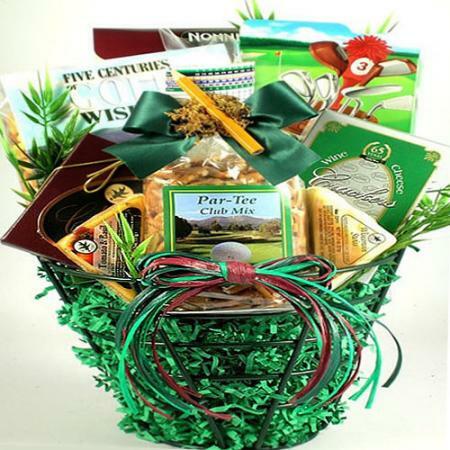 We ordered 2 baskets and neither had the Foxworthy book. Not pleased!! !